The logo was designed by the Dementia-Friendly Working Group made up of a cross-section of community and stakeholders, including people with dementia, carers, service providers, community representatives and Council staff. Dementia-Friendly Central Coast Working Group (L-R): Mary Robertson and Denise Chaston (Tasmanian Health Services), Louise Jones (Central Coast Council), Lorise Evision (Central Coast Adult Day Centre), Sue Atkinson (Community Representative), Holly Mitchell and Belinda Schultz (Respect Aged Care), Agnes Banim (People Living With Dementia), General Manager Sandra Ayton and Mayor Jan Bonde (Central Coast Council), Declan Banim (Carers) and Chris Mead (Agency Arts Health). There are many individual flowers that make up a single red gum blossom, representing the many people in Central Coast that make up our community. The red paths of the individual flowers reflect the different journeys of people living with dementia, their carers, and service providers. Some lines are longer than others, symbolising younger and older people. The yellow centre represents our community and reflects the sun (warmth, hope etc.). 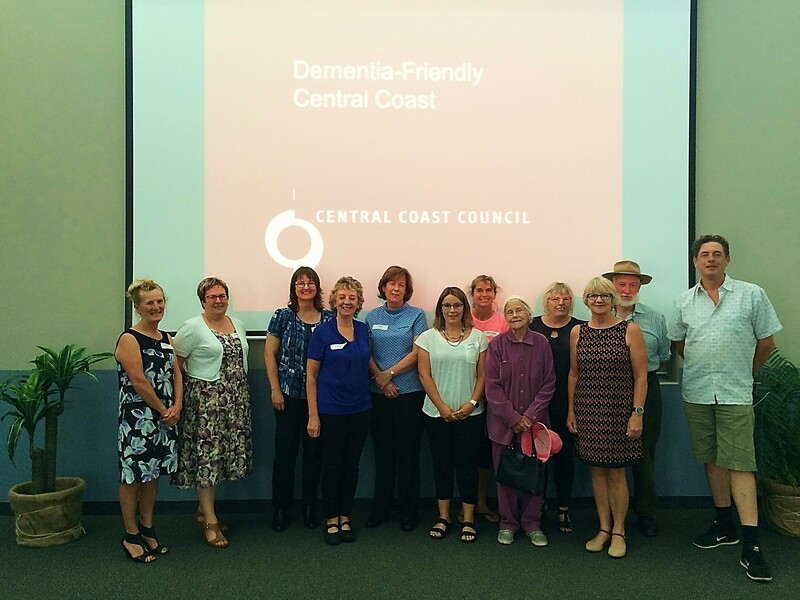 The message statement identifies with our core beliefs for the Dementia-Friendly Central Coast project.